We all need extra cash for many different reasons. 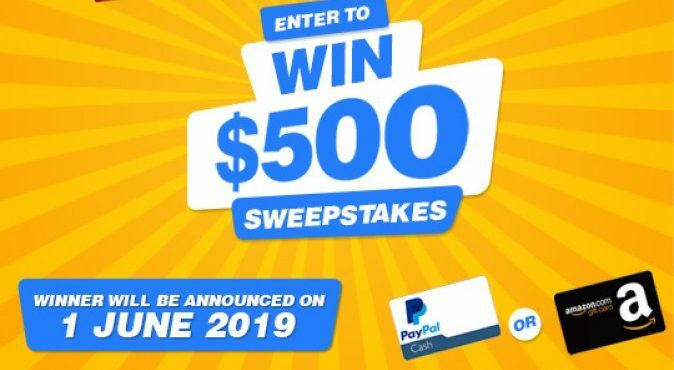 Here is a chance to add extra $500 in your pocket by entering into the Sweepstakes Bible $500 cash giveaway. To enter in this giveaway grab your free entries by following few simple steps listed down below! One grand prize winner will be awarded with $500 Paypal cash or $500 Amazon Gift card. Not known how the winner is going to be contacted, probably by email and announced in a giveaway widget shortly after giveaway ends.